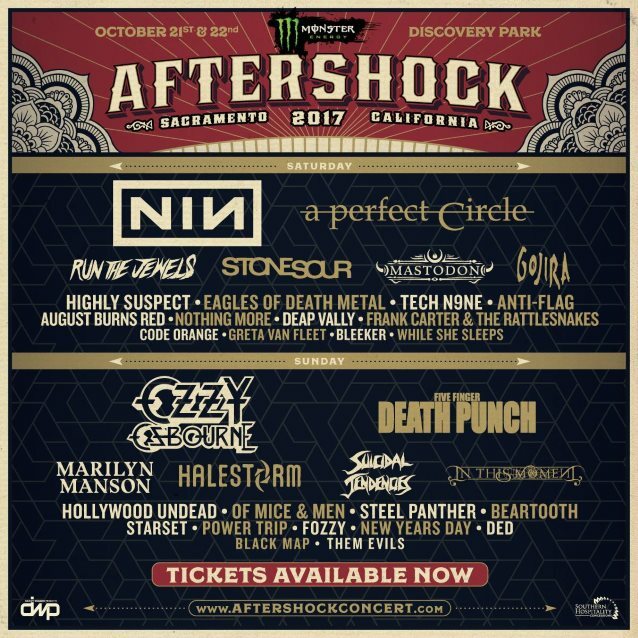 MARILYN MANSON and FRANK CARTER & THE RATTLESNAKES have canceled their appearances at this year's edition of the Aftershock festival. 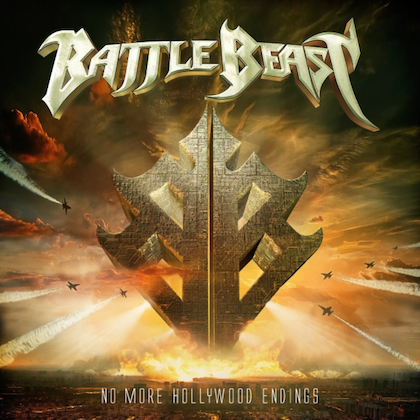 The organizers have since announced that BUTCHER BABIES and PALAYE ROYALE have been added to the two-day event, which is scheduled to take place October 21-22 at Discovery Park in Sacramento, California. 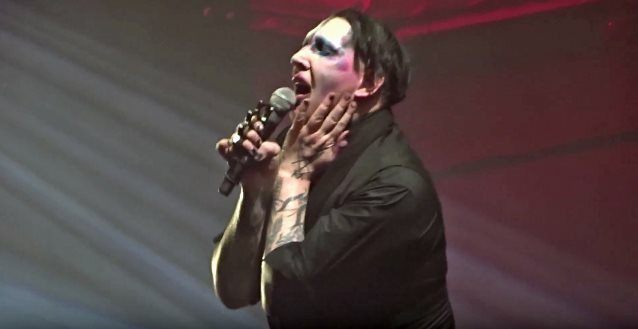 Manson's Aftershock cancelation comes less than two weeks after he scrapped nine shows of his "Heaven Upside Down" tour following an onstage incident. The accident happened about forty-five minutes into Manson's September 30 set at Hammerstein Ballroom in New York City as tried to climb a stage prop — consisting of two enormous fake pistols — which was almost double his height. The huge prop toppled and knocked Manson to the stage, injuring him. Marilyn's North American tour kicked off on September 27 in Silver Spring, Maryland. 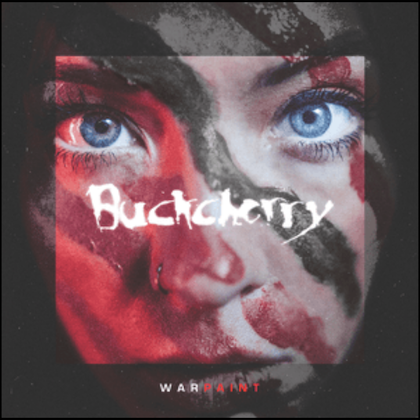 He was on the road supporting his latest album, "Heaven Upside Down", which was released on October 6.